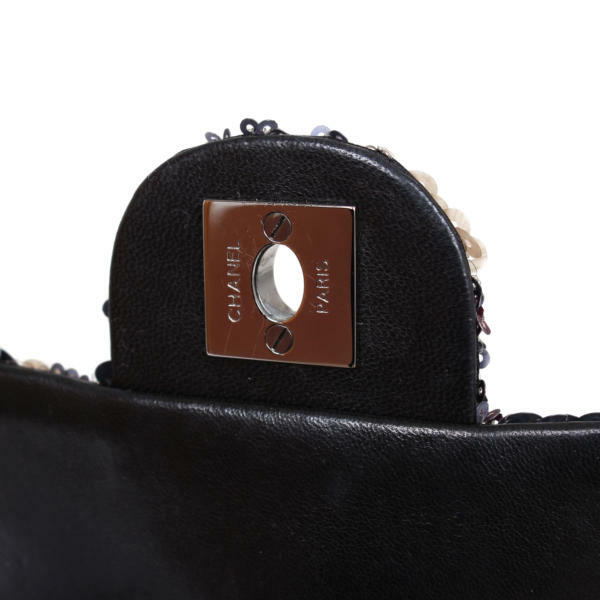 This Chanel Timeless bag in Mini size is a unique piece hard to find. 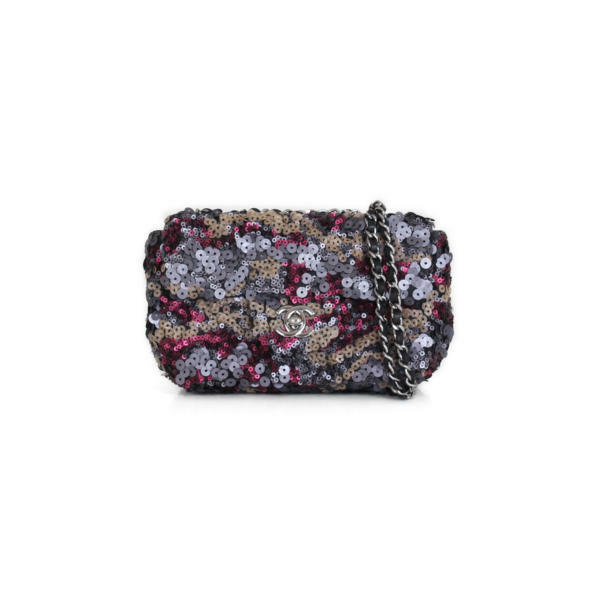 Its sequins in metallic colors make it an ideal bag to match both your basic looks and party wear. 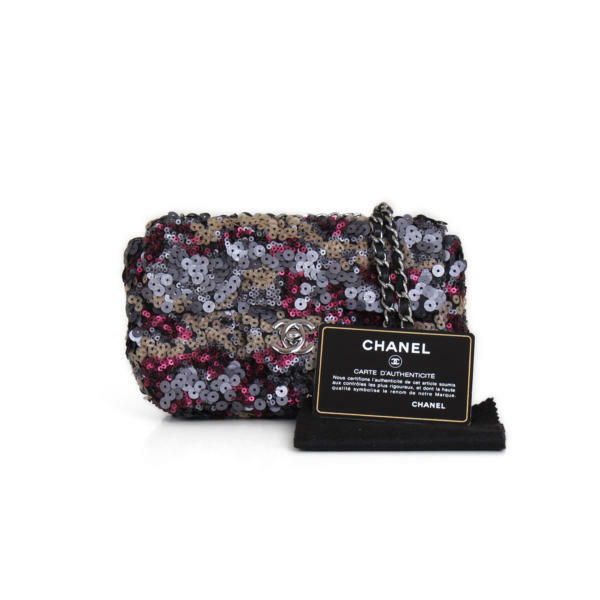 Chanel bag from the Classic Timeless line in Mini size. 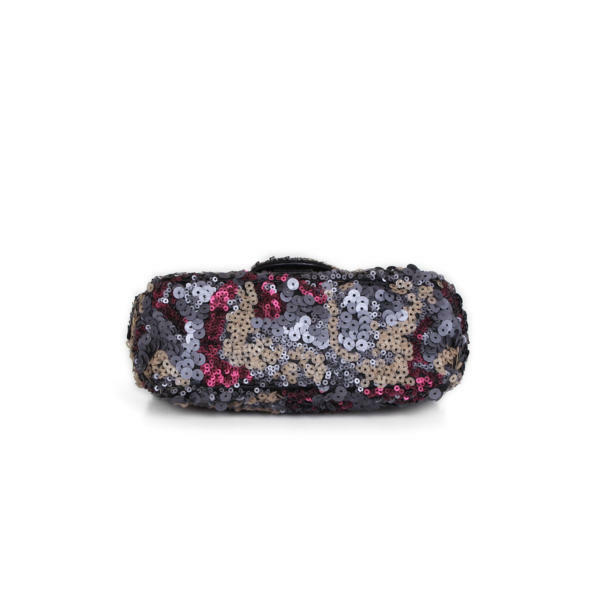 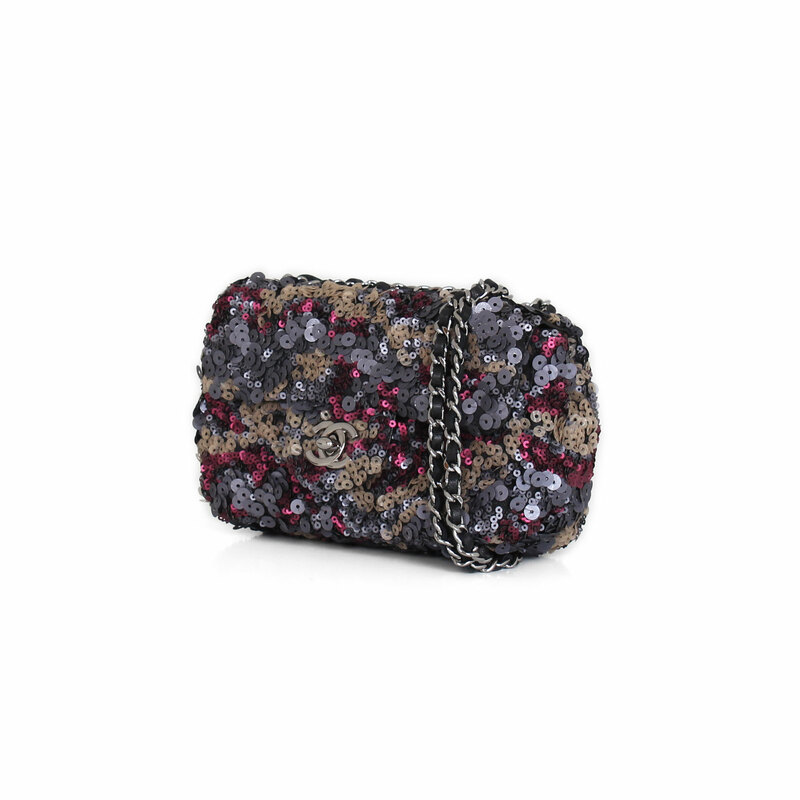 This charcoal satin bag is covered with multicolored sequins with metallic finishes in shades of gray, gold and burgundy. 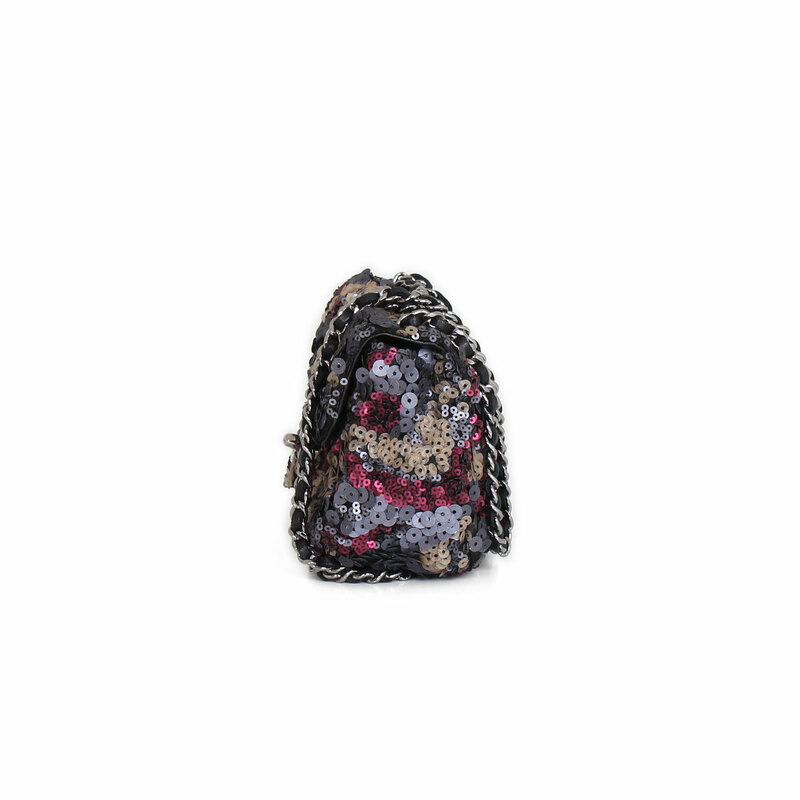 It has a fine chain in braided metal hardware with black leather. It closes with the iconic CC turn lock. 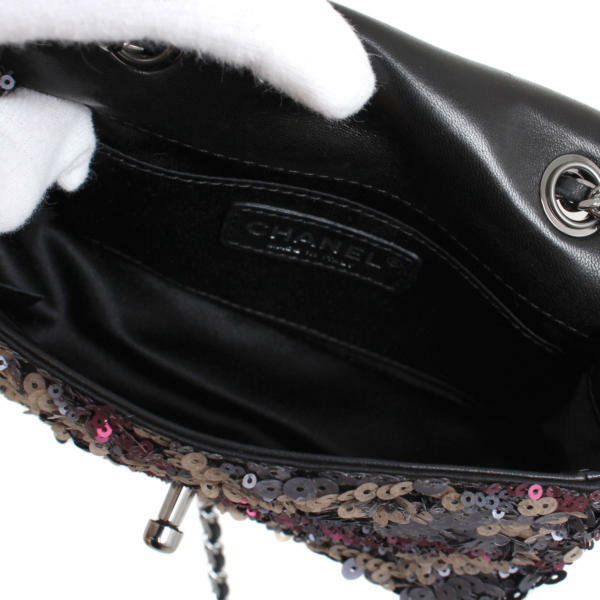 It opens to an interior lined in lambskin and black satin. Includes an inside pocket and can be worn on both the shoulder and across the body.